North Arm cruiser with J. Ready or not Vaquero on Sat. Somehow a couple months ago I thought this was a good idea. So - I talked Gdoc into signing up for the 25k El Vaquero Loco. Someone on the bus ride back to the cars after the race said.. this is a race which is underSOLD but OverDelivers! I couldn't agree more. Ty does a fantastic job with little fanfare in getting this race rolling. I did the 50k a couple years ago and somehow forgot how painful the climbs are. Although the beauty is stunning and the mountain peaks and lakes are some of the best around. I love it. I knew I wouldn't be in top shape still coming off a knee injury so, my goal was to finish before the bus left. Hoping to hit around 4 hours. There is about 4500ft of vertical in the 25k so, you get to visit the paincave several times on this course. Which adds to the experience. Tracy another friend threw in at the last minute and before you know it we are hearing Ty count it down. Out of the shoot you have about a third of a mile to position yourself before you start hitting the step stuff. The three of us stayed together for 2-3 miles and then G and Tracy started pulling away. Knowing what was ahead and that I was going to take the step downs relatively slower I let them go happily. Talked to some friends who were running the 50K as they headed down to the turnaround point. 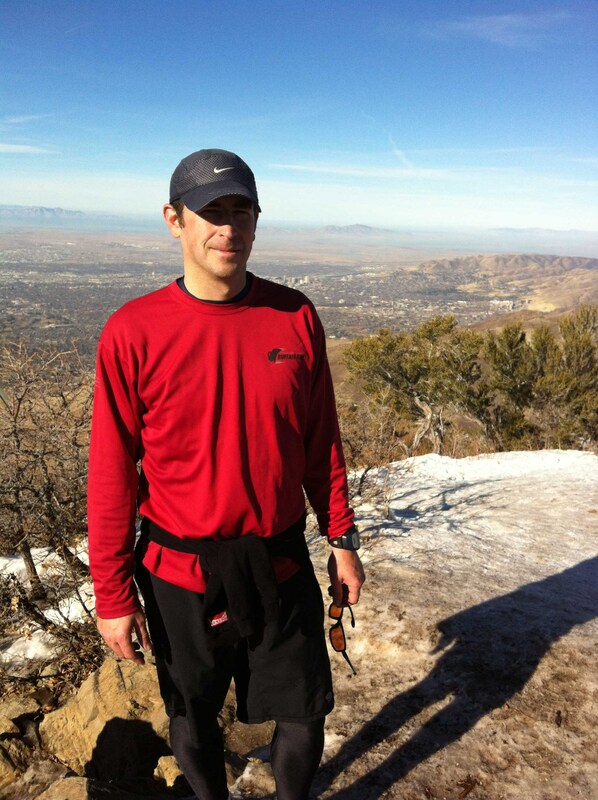 I was able to maintain a hike/climb/run up the first 8 miles to the first peak. Felt pretty good, but was getting HOT. The mountain lakes and scenery pull you along for the next 3-4 miles until you hit the last climb they've appropriately named 'balls'. It's brutal, but I decided to put the head down and finish this vert off. Once you get to the top it's a step down hill for a couple miles and then a couple miles of jeep trails back to the finish. About half way down I noticed my phone was no longer with me.. Seriously. I turned around and started going back up - about a .25-.30 of a mile I ran into a guy who had picked it up, so I guess my vert wasn't quite done yet and I got another half mile in - lucky me. G and Tracy had a great race beat me into the finish by 20-30 minutes - not sure times or place - will update once they post results. Cold huckleberry soda at the finish is on point. Perfect day out under the blue dome.